Born and raised in Colombia, Iván is a musician, on-air personality and teacher. Currently he serves as director of music at Saint Francis de Sales Catholic Church in Miami Beach, Florida. Iván is involved in diocesan youth conventions, Hispanic charismatic conventions, music workshops and other events all across the country. He hopes that his music and testimony become instruments for all to experience the love of God. ¡Aleluya! ¡Alaben el Nombre del Señor! Monday/Tuesday: Parish Mission 6 pm - 7 pm: in English 7:30 pm - 8:30 pm: in Spanish. For further information please contact event host. Throughout his young life, Iván Díaz has learned what it means to be fully reliant on God—trusting that his will is perfect. With Honor y Gloria a Él (Honor and glory be to God), he has created a collection of songs that invite us to be filled with God's love, joy and strength, songs meant to inspire us in the midst of our struggles. A pop album with hints of rock and Latin influences, Honor y Gloria a Él features a contemporary sound with songs that can be used in the liturgy as well as for praise and worship. With themes of adoration, hope, happiness, celebration and more, these Spanish-language songs could easily be incorporated into prayer and youth groups, charismatic events and ministry retreats. Probably considered a favorite by those familiar with his music, “Brilla” is a song about hope with a beautiful melody and simple instrumentation. The title track fills a void for communities searching for a song for eucharistic adoration. Its simple melody and lyrics make it easy to learn and allow us to fully contemplate the Body of Christ. Working with a number of Grammy-nominated and -winning musicians, singers and producers, Iván has achieved a vibrant and moving collection that truly does honor and glorify God. In this CD, you will find iconic Catholic songs beloved among English-speakers are now available in a bilingual and Spanish format. This is the guitar songbook of Nuestra Alegría/Our Joy available in a convenient digital format. 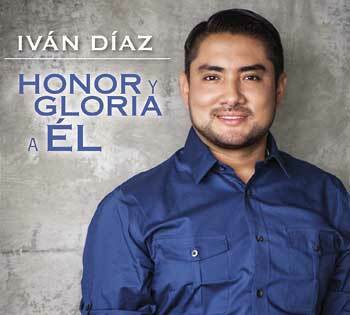 This guitar songbook provides chords, melody, vocal harmonies and lyrics as well as assembly versions for each of the songs on Honor y Gloria a Él by Iván Díaz. This is the guitar songbook for Nuestra Alegría/Our Joy, with bilingual and Spanish versions of iconic Catholic songs. Iconic Catholic songs beloved among English-speakers are now available in a bilingual and Spanish format. Born and raised in Colombia, Javier Iván Díaz is a musician, on-air personality and teacher who has been composing music since he was just 17. Holding a master of arts in choral conducting and bachelor of music, Iván began his college career at Pontificia Universidad Javeriana in Bogotá, Colombia. After moving to the US, he completed his degrees at Florida Atlantic University. In addition to his role as Music Director at the St. Francis de Sales Church in Miami Beach, Fla., Iván is the NCYC chorus director, NCCYM Music director and high school choral director. He released his first album with OCP in 2014, Honor y Gloria a Él, a contemporary Spanish-language collection. 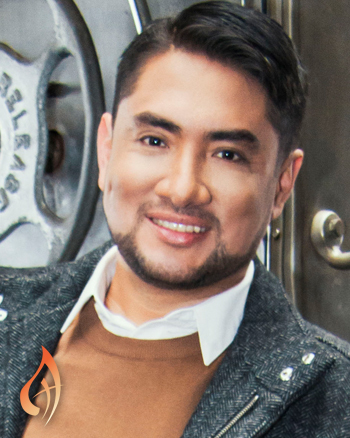 His songs and arrangements are also included in several collections from OCP, including Bendito, Bendito, a Spanish-language contemporary album with songs for adoration and Entre Tus Manos, a collection of songs for prayer and healing. 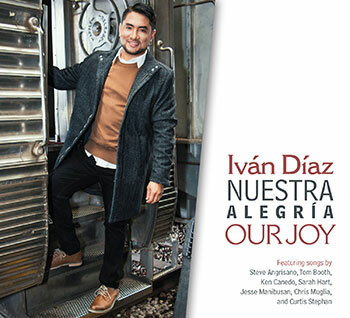 His latest release is Nuestra Alegría/Our Joy, a collection of Spanish and bilingual versions of iconic Catholic songs. The song “Nuestra Alegria/Our Joy” was chosen as the official youth and young adult song for the V Encuentro. He has appeared on EWTN and the Jesus Christ Network. When composing “Aquí Estoy/Here I Am,” for World Youth Day Panama 2019 with Fr. Rob Galea, Iván successfully managed to add new rhythms and make worship songs accessible to younger generations and to both English and Spanish speakers. During WYD Panama 2019, he participated in several events, concerts and catechetical sites. Currently, he lives in Miami, Florida, where he serves as director of music at Saint Francis de Sales Catholic Church.